Wide receiver Rick Upchurch leaps for a touchdown during a November 28, 1982 loss (20-30) to the Chargers in San Diego. 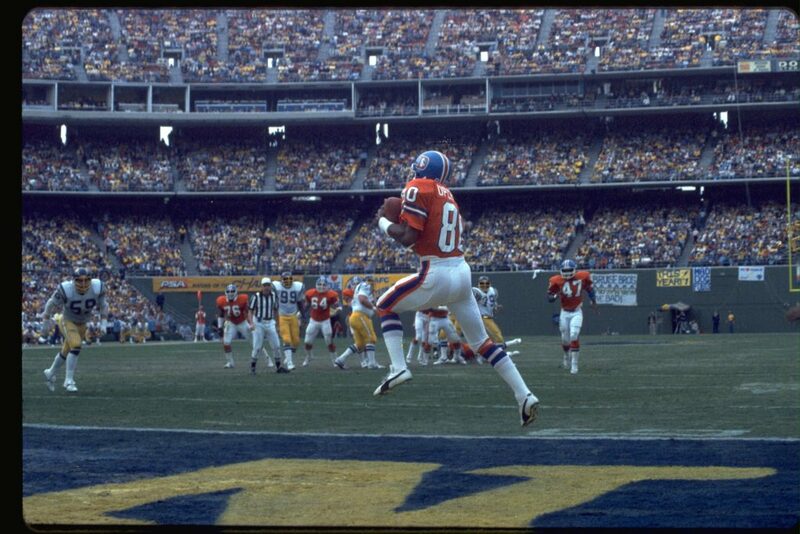 Rick Upchurch returns a punt 78 yards for a touchdown against Kansas City. The return tied the then all-time pro football record of eight career touchdowns on punt returns.